Debra Carus is a local jeweler specializing in Nordic-inspired metal jewelry from silver, gold, and metal clays, featuring recycled, sustainable metals. She brings 30 years of teaching experience offering introductory classes in fabrication, chainmaking, and all levels of metal clay. 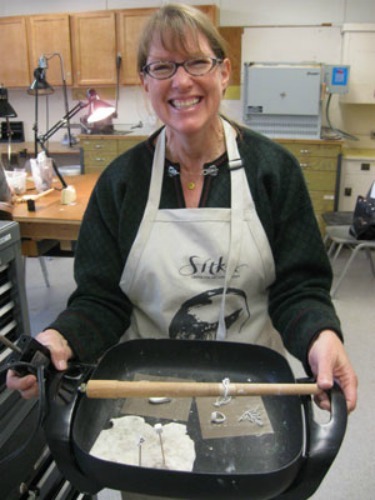 Debra is a Senior Instructor for Art Clay World and certifies instructors across the Northwest. Her work can be found at art shows, galleries, and through the various Scandinavian community festivals in Oregon. She has also served on the board of CMAG.